The Spanish island of Fuerteventura is the second largest of the Canary Islands and sits off the northwest coast of Africa. 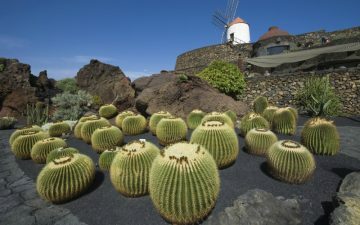 Fuerteventura is known as a year round destination due to its consistently warm climate. However, it is still most popular with tourists in summer. Unlike some resorts, Fuerteventura hotels stay open and active right through the year. You won’t find restaurants and shops closed or your choice in Fuerteventura hotels limited. As a year-round destination, the island doesn’t have a closed season, so your options for where to stay and where to eat and drink when you get there remain wide open. 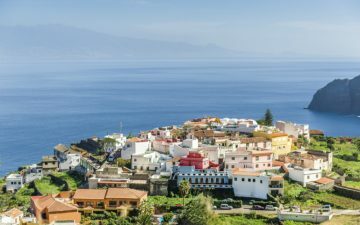 What’s more, due to the fact that the majority of travellers still visit the island in the summer, you’ll actually have a better choice of Fuerteventura hotels in the winter because they are less booked up. You won’t see crowds in anywhere near the numbers you will in summer. It’s not only the Fuerteventura hotels that are quieter and less crowded, but it’s the streets and beaches too. In winter you get the best of both worlds. The temperatures remain high, but the number of tourists gets lower. You can wander around with plenty of space through the streets; you can easily get a table in restaurants, and you’ll stretch out in peace and tranquillity on the beaches. 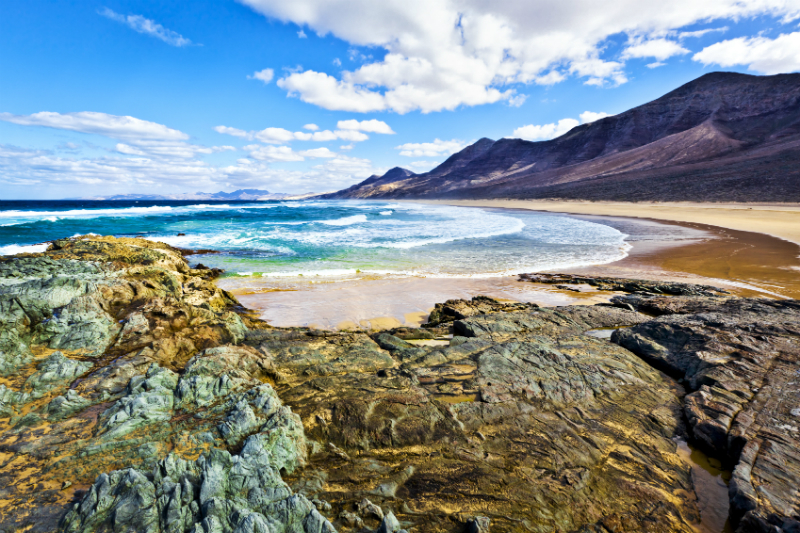 Fuerteventura beaches are without a doubt what pulls most travellers to the island. The northern coast is rugged and experiences some wind, making it a favourite with wind surfers and water sports enthusiasts. The beaches here are often blessed with magnificent sand dunes, but the small, secluded coves also picturesque, quiet and sheltered from sea breezes. In the south you’ll find idyllic, long sandy beaches which are clean and feature clear, shallow waters and soft, white sand. Most visitors head to the south in winter to take advantage of the perfect beaches, but the north has its charm and offers intricate, picturesque scenery. 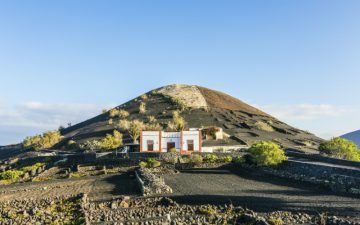 Winter in Fuerteventura is also a great time to discover the character of the island and get to know its culture and people a little better. With the bulk of the crowds gone everyone relaxes a little and visiting old Spanish towns and villages becomes a traveller’s delight. There are some beautiful old white washed villages in Fuerteventura. 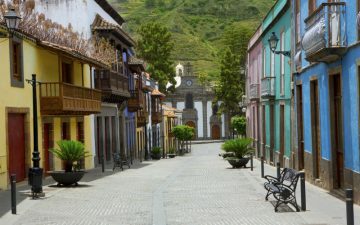 Head for La Oliva or Antigua, the oldest village on the island. Both villages have fascinating 18th century churches you can have a wander around, though the one at La Oliva wins by a margin for displaying paintings by the Spanish artist, Juan de Miranda. Stay for lunch and enjoy delicious local dishes alongside Spanish families. With everyone relaxed in the lull from the high season, you can spend time with the locals who’ll welcome you with the sun in their smiles. Lastly, if you’re a golf fan, you’re going to love Fuerteventura in winter. The island has some stunning golf courses and you can enjoy the game with the sun still on your back, but the crowds noticeably absent. Take your time perfecting your swing in peace with the wide open green all around you. If you’ve never played before, this is the perfect time to have a go. No need to worry about being a beginner. Conditions are perfect for first time golfers in winter so head out and give it a try. Conditions are perfect for first time golfers in winter. With average temperatures hovering around 25 degrees centigrade, winter in Fuerteventura is ideal for those travellers who want a warm weather getaway and like it quiet. Take a trip at the end of the year when the days at home are getting darker and you need some sun to lift you up, or head out to the island after Christmas when you need to relax after the festivities. Fuerteventura hotels offer you the ideal base from which to explore the island and with the visitor numbers down a little, you’ll have a fantastic choice for your winter holidays on the island.